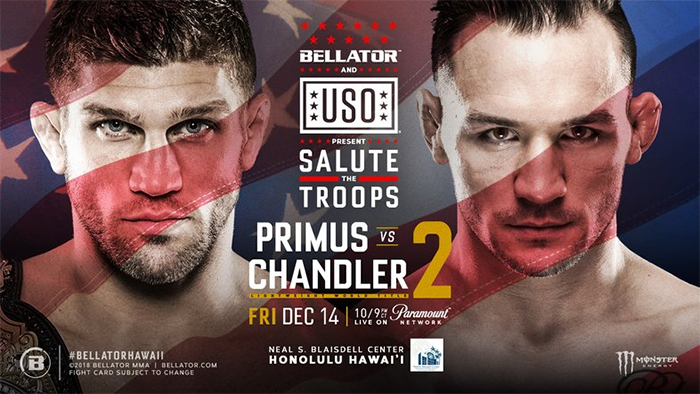 Bellator 212: Primus vs. Chandler 2 is scheduled to take place on December 14, 2018 at the Neal S. Blaisdell Arena in Honolulu, Hawaii, United States. Lightweight Brent Primus (c) vs. Michael Chandler For the Bellator Lightweight Championship. The event will feature a Bellator Lightweight Championship bout between the champion Brent Primus and former champion Michael Chandler. The rematch was scheduled for Bellator 197, but Primus pulled out due to injury. A women's flyweight bout between former title contender Alejandra Lara and Juliana Velasquez was also announced for the card. 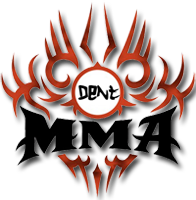 On November 19, 2018, it was announced Sam Sicilia will face Derek Campos at this event. Main event was yet another war, but Chandler was a man on a mission and made it look "easy". Good stuff.